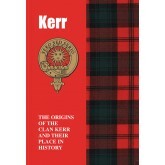 Recipients of a glittering array of noble titles and honours, the Kerrs flourished for centuries as one the most feared and powerful clans of the Scottish Borders. From bitter feuds between rival branches of the family to ferocious vendettas with other clans, their unruly history was for centuries steeped in bloodshed. 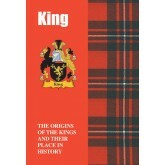 But, following the Union of the Crowns of Scotland and England in 1603, the Kerrs thrived as loyal servants of the Crown, being granted an earldom..
As their name implies, the blood of ancient monarchs may well indeed flow through the veins of present day bearers of the proud surname of King. It is in Scotland that a truly royal race of Kings had their origins, and where many fought in bloodthirsty clan feuds and gave their lives on the battlefield in the cause of the Royal House of Stuart. 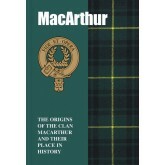 Here is recounted their role in the high drama and romance that is Scotland’s story. .. Believed to trace a descent from the ancient Irish royal family the O’Neills, who came to dominate territory on Scotland’s western seaboard, the Lamonts established a main base at Castle Toward, opposite Rothesay Bay. 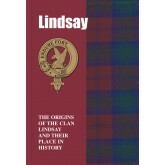 Their power and influence spread rapidly – only to become tragic victims of bitter rivalry between themselves and Clan Campbell and much wider power struggles that beset the nation. 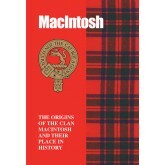 Tragedy struck in 1646 when a force of the Campbells of Argyll besi.. 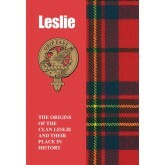 Although they came to feature prominently in the pages of Scotland’s turbulent history, the Leslies have roots that stretch back in time to Hungary. It was a year after Duke William of Normandy’s victory at the battle of Hastings in 1066 that a young nobleman known as Bartolf, whose father was Walter de Leslith, arrived in Scotland as part of the retinue of the young Edgar Aethling, who had hoped to succeed to the throne of England following the death of his father King Harold ..
From roots in early 12th century Scotland the Lindsays stamped their memorable mark on the nation’s frequently turbulent history over subsequent centuries. Renowned for their martial ardour and knightly valour they were rewarded with a host of honours and today are recognised as the proud holders of the premier earldom of Scotland. One notable early bearer of the name was the royal courtier, diplomat, and poet Sir David Lindsay of the Mount, born near Cupar, in F.. 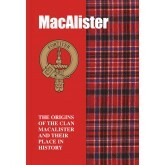 The MacAlisters of today and their numerous namesakes such as the Macalisters, MacAllisters, McAlisters, McAlesters and McAllisters can boast an illustrious heritage. The name stems from the thirteenth century Alasdair Mòr, a great-grandson of Somerled, the ‘summer wanderer’ or ‘summer sailor’ who carved out a vast Scottish west coast fiefdom that included the south isles from Bute to Ardnamurchan Point in addition to Kintyre, Argyll and Lorne. Ever eager to wiel..
With the proud clan motto of ‘Faith and works’ and crest of two laurel wreaths, the MacArthurs of today can lay claim to a truly ancient heritage. One colourful theory is that the name may have originated in honour of the legendary sixth century King Arthur, whom some sources assert had strong associations with Scotland. But although the origins of the name may remain in doubt, what is known with certainty is that the MacArthurs thrived from an early time, partic..
With ‘Mac Chalium’ one of the Gaelic versions of the MacCallum name and meaning ‘devotee or son of Columba’, it is believed that the original bearer of what became ‘MacCallum’ was a contemporary and follower of St Columba. The descendants of this devotee settled in Argyll, while in the early years of the fifteenth century the powerful Sir Duncan Campbell of Lochow granted them land on the banks of Loch Avich and also in Craignish. Owing allegiance to the Campbell..
Bearers of a name that resonates throughout the pages of the frequently turbulent drama that is Scotland’s story, the MacDonalds of today take their name from Donald who, in turn, was a grandson of the famed twelfth century warrior Somerled. 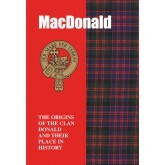 Adept at warfare on both land and sea, the MacDonalds were embroiled in many of the pivotal events in the nation’s history. 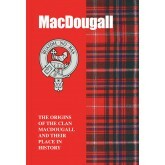 They fought at the side of Robert the Bruce at the battle of Bannockburn in 1314, while in 1692 the M..
Tracing a descent from Dougall, a son of the feared twelfth century warrior Somerled, Argyll was the main territory of the MacDougalls. With the defiant motto of ‘Conquer or die’, the clan – feared at both sea and on land – controlled the entire west coast and frequently had to hold their domains at the point of a sword. Although they supported the freedom fighter William Wallace during the Wars of Independence, bitter rivalry with the Bruce family meant they did.. Along with other clans that include the Lamonts and the MacLachlans, the shores of Loch Fyne were from earliest times the abode of the MacEwans. 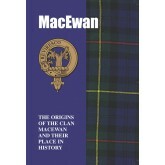 The Gaelic form of the name is MacEoghain, meaning ‘born of the yew tree’, while ‘Ewan’ or ‘Ewen’ can also indicate ‘young warrior’ – and these ‘young warriors’ may well have been from the tribe known as the Scotti who settled in what is now modern day Scotland after making the short journey across the sea from Ireland. 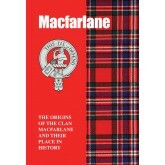 ..
One of the oldest of the clans and renowned for their martial ardour, Clan Macfarlane, known as the ‘Wild Ones’, was a cadet branch of the ancient Celtic Earls of Lennox and take their name from ‘Parlan’, a supporter of Robert the Bruce during the Wars of Independence. Loch Lomondside was their territory and they became infamous for raiding their neighbours’ livestock , while even the tune played on the bagpipes at their clan gatherings was Thogail nam bo – Lifting the Cattle.&..
‘My Race is Royal’ is the proud motto of the MacGregors, with one ancient source recording that they descend from ‘Gregor’, a son of King Alpin. From earliest times they were settled in West Highland territories that included The Trossachs, Loch Lomond, Loch Katrine, Rannoch and Balquidder. 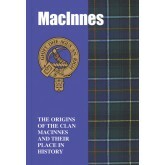 They soon gained a reputation for lawlessness, raiding their neighbours’ livestock, but so adept were they at vanishing into the wilds after a raid to evade capture that they ..
Of ancient Celtic origin, Clan MacInnes had roots on both the island of Mull and, across from the island, the Morvern peninsula. Kinlochaline Castle, at the head of Loch Aline on the southern coastline of Morvern, was the ancestral home of their chief, and they are known to have allied themselves with the twelfth century Somerled who at one point ruled all of the Western Isles and Argyll. Also allies of the MacDonalds, they aided this powerful clan in repelling invading Nor.. 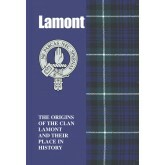 Leaders of Clan Chattan – the mighty confederation of clans that included the Shaws, Farquharsons and Davidsons – the MacIntoshes have stamped an indelible mark on the pages of Scotland’s frequently turbulent story. Badenoch, Lochaber and Angus were their territories, and their main rivals the Camerons, with disputes settled at the point of a sword. King Robert 111 resolved that both sides should select 30 champions and engage in a fight to the death in a bid to ..